Welcome to my Wednesday Wait Loss, where you get the encouragement you need to stop waiting and to get those long lost works in progress finally finished! 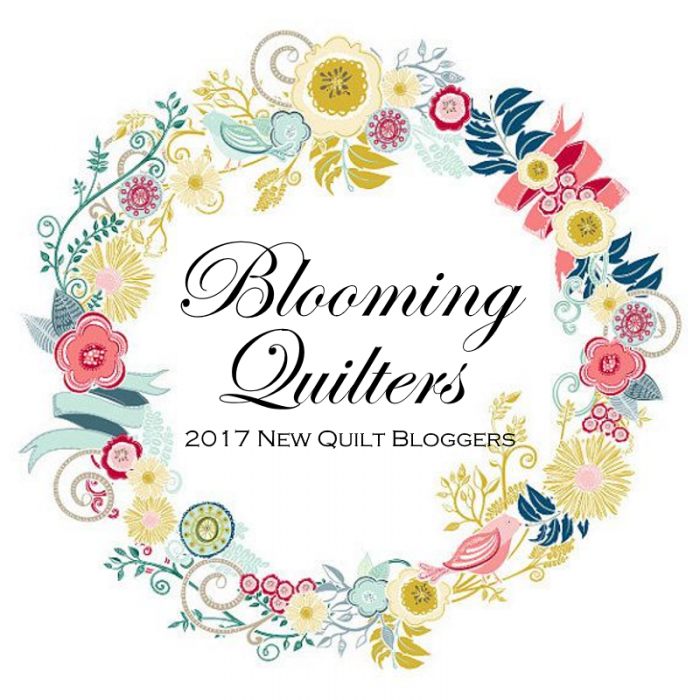 As you probably know, this week I've been busy writing a series of posts about my favorite quilt store--Always in Stitches. This Saturday is Local Quilt Store Day and I'm hoping to encourage you to support your local quilt store by paying them a visit. I'm not alone in this effort--Always in Stitches and Island Batik are sponsoring some great giveaways! I've already shared how a quilt shop's customers make it special, and how a quilt shop creates a special learning and sharing environment. Today I thought I'd share some of the things I've learned by working in the shop. Simply by working there, I've learned more about the business side of quilting. I find this kind of stuff fascinating, and a nice compliment to what I'm learning about the quilt patterning and fabric design part of the quilting business. At the shop, the staff is encouraged to keep learning. With a shop as big as Always in Stitches, there is a lot you can learn if you want. Classes for us are free, and this year I've made it a goal to finally learn longarm quilting. I've signed up for the February class, and I'll be sure to let you know what I learn. The shop has both a longarm and a midarm you can rent after taking the basic how-to class. I can't wait to expand my horizons! But really, who needs special classes? Every day at the store it seems that I learn something. Whether it's a new technique presented by a customer or a new tool I'm pricing for inventory, the opportunities for learning surround me daily and I just love it. For example today Betty (a co-worker) showed me her blocks from a recent class. Who knew you could create four-patch Kaleidoscope blocks? Somehow I always think of them as made with triangles. We sell a Magic Mirrors tool that helps you discover the kaleidoscopic potential of a prospective fabric. Cool, eh? Processing the new inventory that comes into the store provides me with endless things to learn about and drool over. Here are a few goodies I thought I'd share. A few months ago, this cute kit came in. I love how simple this is! Make a few hexies, add the jewelry fixings, and you've got a necklace! I love how clever and easy this is. Ever try to cut a bunch of 2-7/8" squares? This gizmo hooks onto your ruler, providing not only a visual guide but an edge that perfectly aligns your fabric. Haven't tried it yet, but I think it's cool. The minute I saw these Quilter Select non-slip rulers and mats at Market, it was love at first sight! You can trim one side of a square, press and turn, and the ruler holds onto the fabric perfectly so you can trim the other side. This amazing powder fuses fabric! I'm going to use it the next time I do an art piece with tiny pieces. Everybody has their favorite tools it seems, so we often learn from each other. When the magnetic wands came in, Debra couldn't get over how easy it was to pick up pins! Stephanie is our resident gadget guru. I don't think there's a tool she hasn't used, so if I ever have a question about a new product, I just ask Stephanie. Well, that's what I've been learning at the shop. Let's see what you've been up to! First though let's see who made the weekly feature. This week I want to feature Kate, who recently finished the signature blocks for a wedding quilt. Weddings make me happy, and so do people who make their monthly goals. Great job Kate! Have fun at the wedding! Congratulations Kate! Here's an "I Was Featured" button for your blogs. Remember, if you need help linking up, click the Wed Wait Loss tab above for step by steps. And don't forget to enter my giveaways! Be sure to read my post about learning opportunities at your local quilt shop and to enter to win one of two Island Batik Stash Builder rolls. Also, the Island Batik Four Seasons Blog Hop is still going on! Be sure to read all about it here, and to enter the hop giveaways.